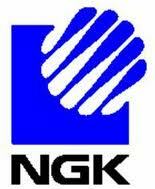 Existing NAS batteries systems are rebuilt by NGK Insulators Ltd. to reduce potential fire risk. Slowly, but surely, the fire incident of September 21, 2011, becomes a classified event. For instance, Xcel Energy now announces it is restarting its battery plant that was commissioned in 2008 and stopped on NGK recommendation after the fire incident in Japan. There are still ten open job positions related to Durathon on GE web site. There is even one in Japan for a Field Services Engineer, in the middle of NGK playground. It is one of the numerous independent studies that recognise the advantages of NAS compared with other technologies for grid storage solutions.